For more than 60 years, SwRI has been the world’s largest independent research, development, and testing organization for engines, fuels, lubricants, and emission technology. Building on this success, A&D Technology recently signed an agreement with SwRI to provide next-generation client services for powertrain development. 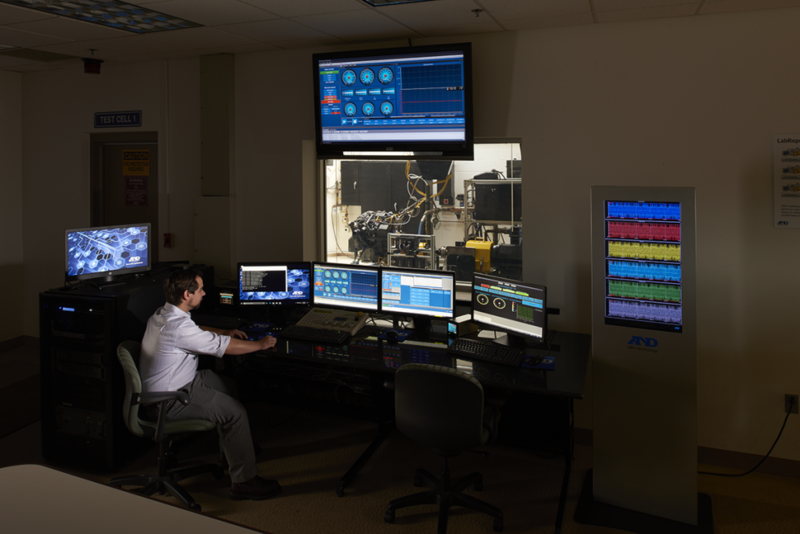 At A&D Technology’s headquarters in Ann Arbor, Michigan, the joint partnership will combine A&D’s state-of-the-art data acquisition and calibration tools with SwRI’s experience in powertrain controls and automotive product development. The laboratory space includes three test cells, one of which is equipped with a 275 kW, low-inertia, permanent-magnet dynamometer with maximum speed of 8,000 rpm. 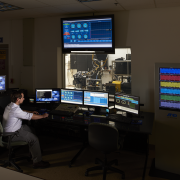 The cell is outfitted with SwRI’s RPECS® powertrain benchmarking and control system and a suite of A&D’s automation system software, including iTest test automotive software, Phoenix combustion analysis SYSTEM, and ORION automated calibration software. By utilizing these advanced R&D programs, and partnership with SwRI, A&D will further accelerate its leadership position in data acquisition and control, combustion analysis, engine calibration, vehicle dynamics, and emissions. Congratulations to A&D Technology for this big win! For more information, please contact us.